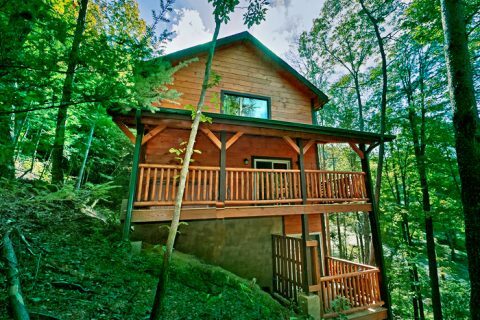 Looking for a cabin near Gatlinburg with a private pool? 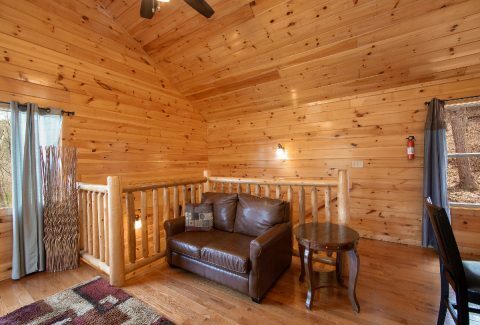 Come enjoy "Hickory Splash", a private, 2-bedroom cabin with an indoor pool, ideal location, and comfortable cabin amenities! 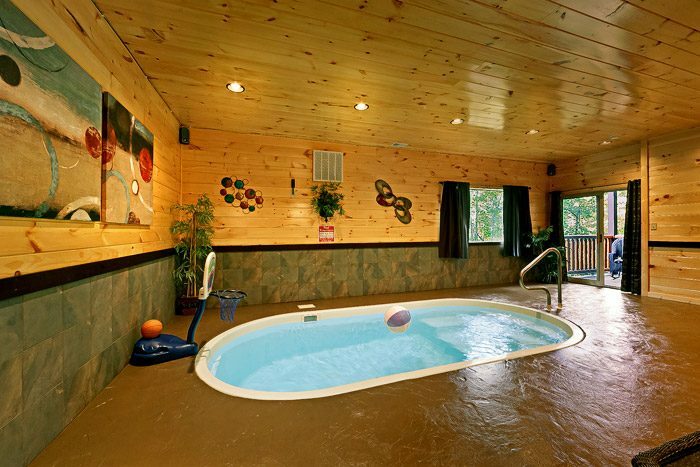 Imagine enjoying a soak in your very own heated indoor pool on the bottom level of your cabin in the Smokies. 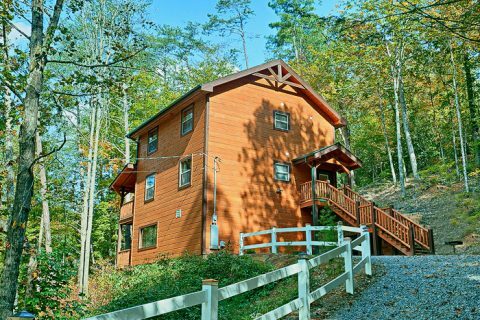 "Hickory Splash" offers true luxury accommodations for your family vacation in the Smokies! 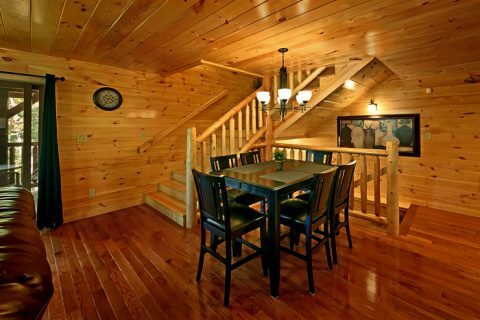 "Hickory Splash" provides a luxury cabin offering the finest in rental amenities for your Smoky Mountain vacation. 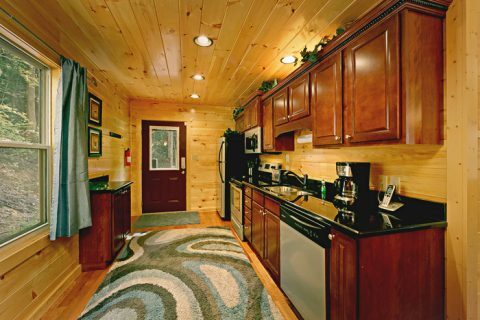 The modern, galley-style kitchen comes with stainless steel appliances, and ample seating for the entire family to enjoy freshly cooked meals in the dining area. 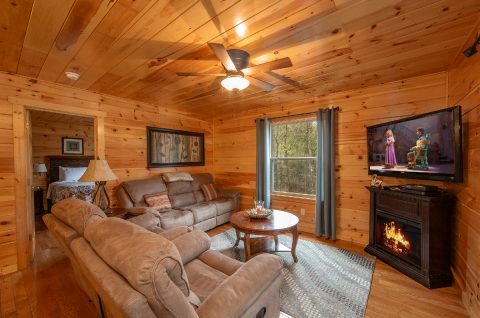 In the living room, a plush couch and chairs provides plenty of seating around the large flat panel television, providing the perfect space to watch the big game. 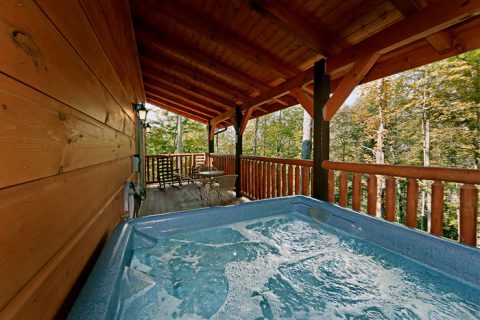 Your Smoky Mountain cabin with private pool's main level boasts a bedroom with king bed and a flat-screen television. 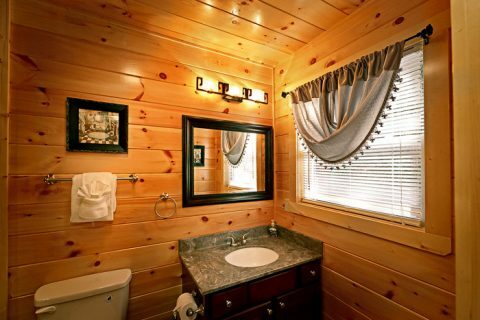 There's also a soothing jacuzzi tub and rain shower head in the bath. 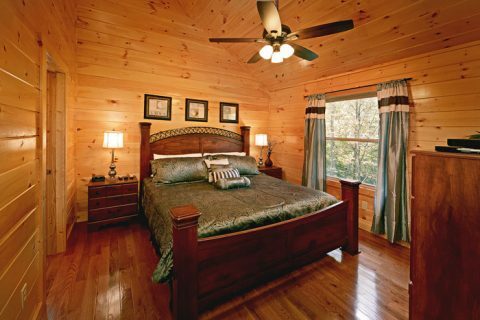 Travel upstairs to another king-size bedroom with flat-screen television and private bath. 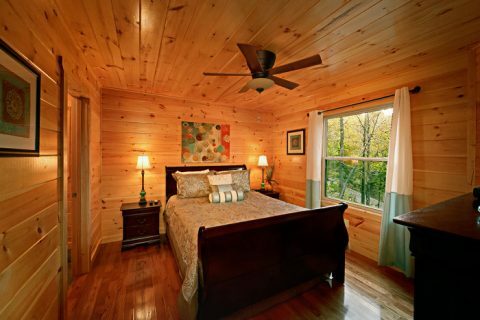 An additional full-bed in a nearby alcove, providing enough room to comfortably sleep up to 6 guests. 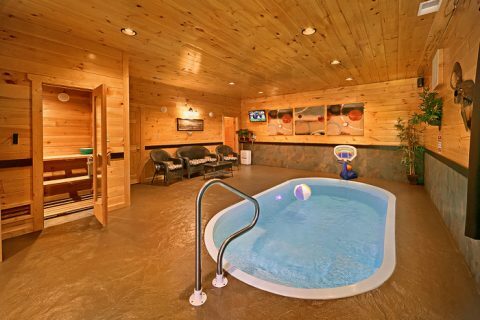 Be sure to enjoy your cabin with pool's game room with plenty of entertainment options. 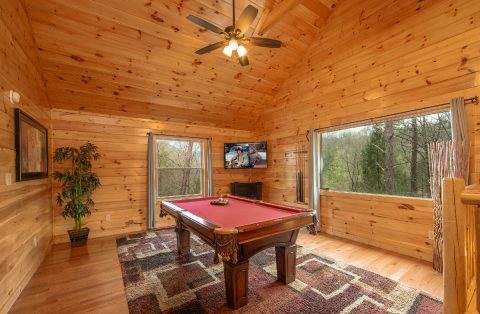 Enjoy a tournament at the pool table, set the high score at tabletop arcade game, or enjoy a movie night with the extra-large television. 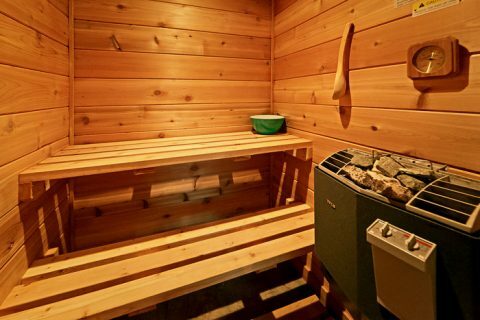 Your cabin rental's heated indoor pool area was designed for your comfort and features a sauna, television, stereo system, and additional seating area. 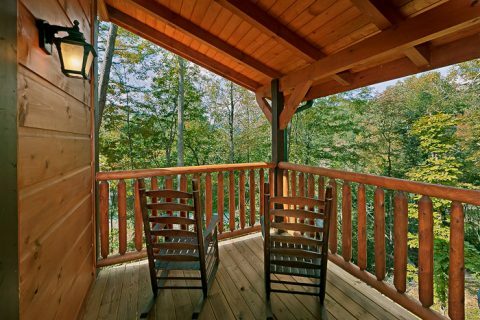 Traveling outdoors, family members can enjoy 2 spacious decks, the family-sized hot tub, and a fire pit for roasting marshmallows! 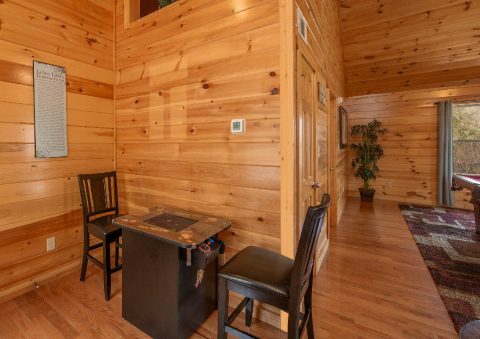 Located on a private, wooded setting in Wears Valley, this cabin near Gatlinburg rests close enough to Pigeon Forge for a short scenic drive to tons of Smoky Mountains fun. 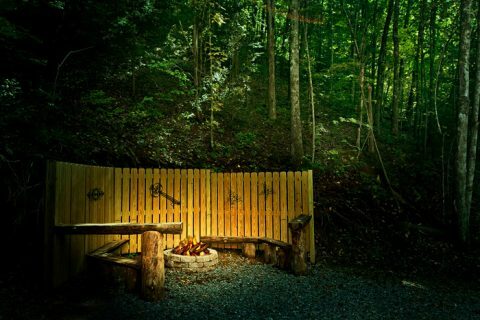 Book your cabin near Gatlinburg with private pool ONLINE for an immediate Online Cabin Discount. Make "Hickory Splash" your family's vacation destination for years to come!